Launching on December 21, 2015, Progress MS was the first of the improved MS spacecraft to fly, featuring a number of systems upgrades including a new Unified Telemetry and Command System, communications relay capability through the Luch satellites and onboard orbit determination through satellite navigation data as well as proximity communications with ISS. To test out the new systems in an operational environment, Progress flew the longer, two-day rendezvous profile, making a fully automated docking to the Pirs module on December 23. Loaded with 2,400 Kilograms of food, fuel and supplies, the Progress was set for a six-month stay to be unloaded by the crew members aboard ISS. 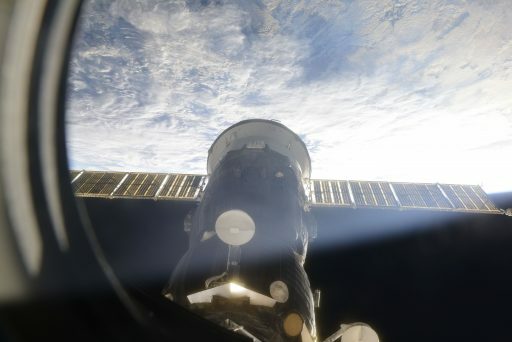 During the vehicle’s stay, propellant was transferred to the Station’s tanks and the crew completed water transfers and released oxygen and pressurized air into ISS to top up its atmosphere. To get ready for the end of its mission, the Progress was loaded with trash and its water tanks were filled with liquid waste. A minor leak from one of the two tanks in May remained without consequences and Progress was buttoned up earlier this week for its departure. On Friday, Progress underwent an undocking – re-docking test to verify the performance of the manual flight control software onboard the ship and check out a replaced signal converter on the Station’s Telerobotically Operated Rendezvous System which allows Cosmonauts to assume control of unpiloted spacecraft and bring them in for a docking. Cosmonaut Alexey Ovchinin had control of the Progress while Oleg Skripochka monitored the vehicle’s straight-out, straight-in approach. Using the translational and rotational hand controllers, Ovchinin brought the Progress to a distance of 200 meters from where he guided the spacecraft back in, keeping the crosshairs aligned with the docking target and holding the approach at two pre-set distances for corrections of the alignment. Upon contact after a brief 29-minute free flight, Progress was to fire its X-axis thrusters for ten seconds to push its docking probe into the cone and engage capture latches. Instead, the vehicle fired DPO thrusters on the X and Y axes, creating a visible oscillation between itself and the Pirs module. The off-nominal firing after docking was discussed with the Cosmonauts who reported that the Contact Indicator Light became illuminated before the docking light – per the nominal sequence. Why the Y thrusters were not deactivated at contact and DPO continued to fire through the latching sequence remains under investigation. 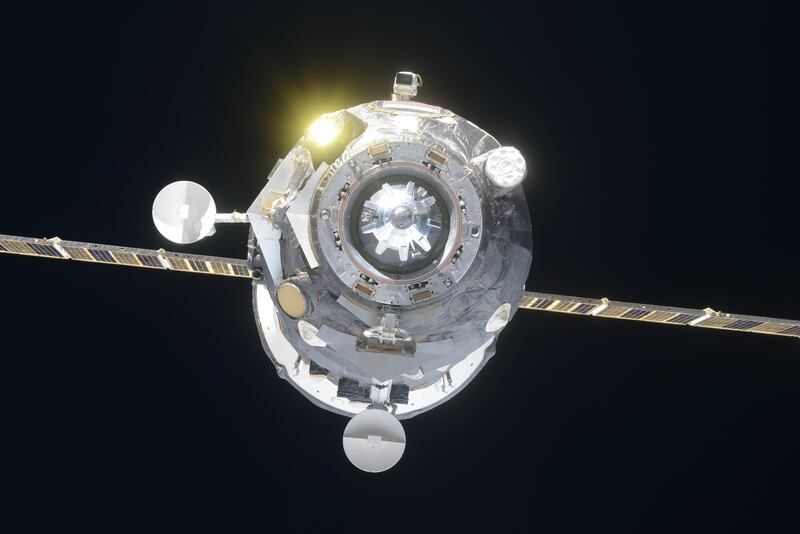 After Friday’s manual control exercise, Progress was hard-mated to Pirs again, but the crew did not open the hatches to the spacecraft as the second and final undocking of Progress was set for just a day and a half later. While the six ISS crew members were fast asleep, Mission Control Moscow commanded the Progress to activate its docking mechanism and drive open its hooks so that springs could push the spacecraft away. Undocking occurred at 3:48 UTC on Sunday and Progress performed a departure maneuver to enter a trajectory taking it rapidly away from the Station’s vicinity. 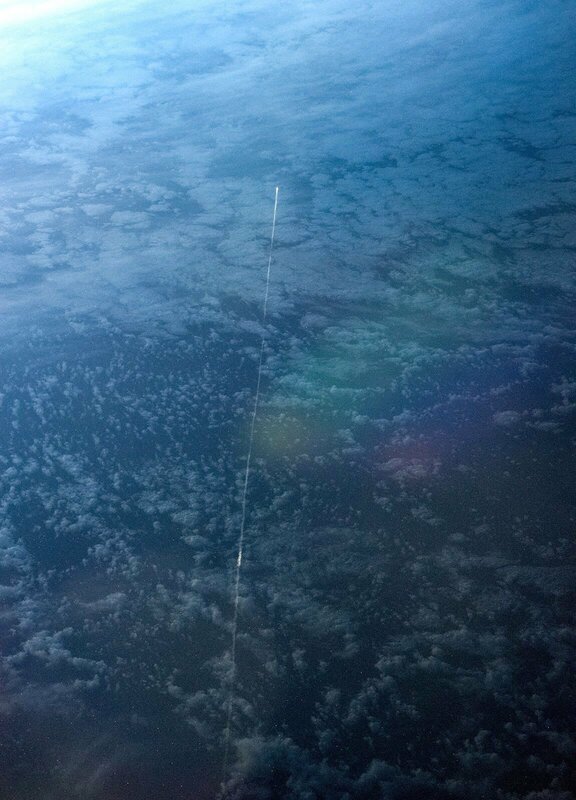 With no additional free-flying experiments planned, Progress was set for a quick end of its mission via a targeted re-entry over the Pacific Ocean. At 7:03 UTC, the spacecraft fired up its KTDU-80 main propulsion system on the retrograde deorbit burn lasting around three minutes and 20 seconds to slow the Progress down by approximately 100 meters per second. The braking maneuver placed the Progress onto a trajectory that intercepted the dense atmosphere at a precisely calculated location over the Pacific Ocean for a fiery re-entry during which the majority of the spacecraft burned up. Any surviving debris were expected to impact the Pacific at 7:50 UTC, well away from any land masses and busy shipping lanes. 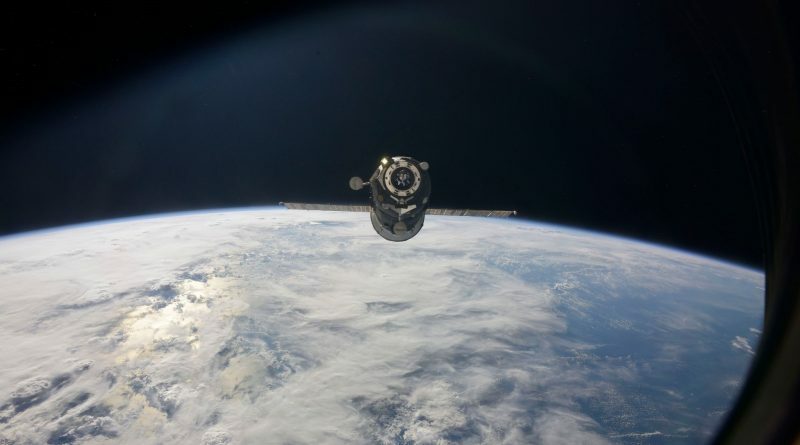 The Pirs docking compartment will remain vacant for two and a half weeks with the next Progress mission planned to launch from Baikonur on July 16. Progress MS-03 is expected to use the 34-orbit rendezvous for docking two days after launch to mark the delivery of 2,500 Kilograms of cargo to the orbiting outpost. For ISS, a period of busy traffic is coming up in July starting with the launch of the Soyuz MS-01 spacecraft at 1:36 UTC on July 7 to ferry Anatoli Ivanishin, Takuya Onishi and Kate Rubins to ISS for their half-year mission. 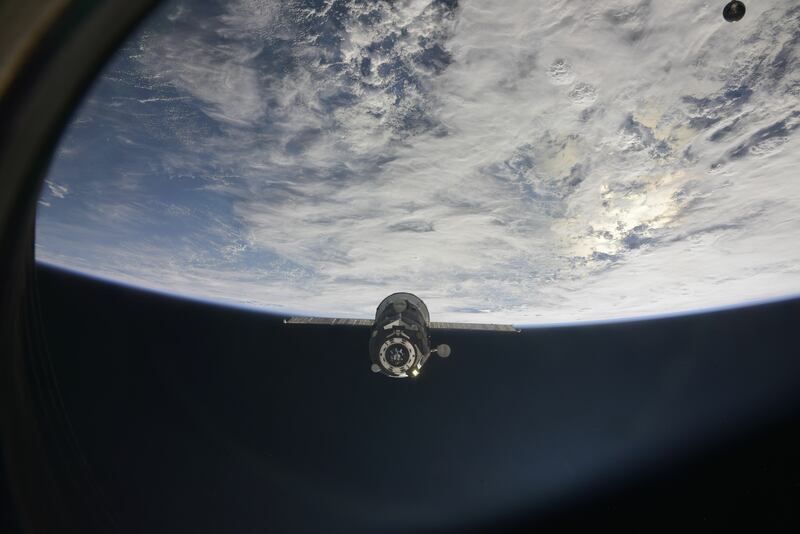 Docking of the first of the improved Soyuz spacecraft is set for the early hours of July 9. Two days after the Progress MS-03 spacecraft takes flight from Kazakhstan, the next SpaceX Dragon will lift off from Florida to begin a two-day link-up with ISS to deliver pressurized cargo to the Station as well as International Docking Adapter 2 – a critical addition to ISS needed for the start of Commercial Crew traffic to the U.S. Segment.